Gordon Gould (July 17, 1920 - September 16, 2005) was an American physicist who is widely, but not universally, credited with the invention of the laser. Gould is best known for his thirty-year fight with the United States Patent and Trademark Office to obtain patents for the laser and related technologies. He also fought with laser manufacturers in court battles to enforce the patents he subsequently did obtain. 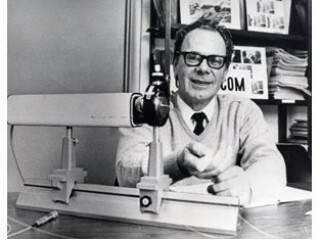 View the full website biography of Gordon Gould.